Alright, this is your chance, people! 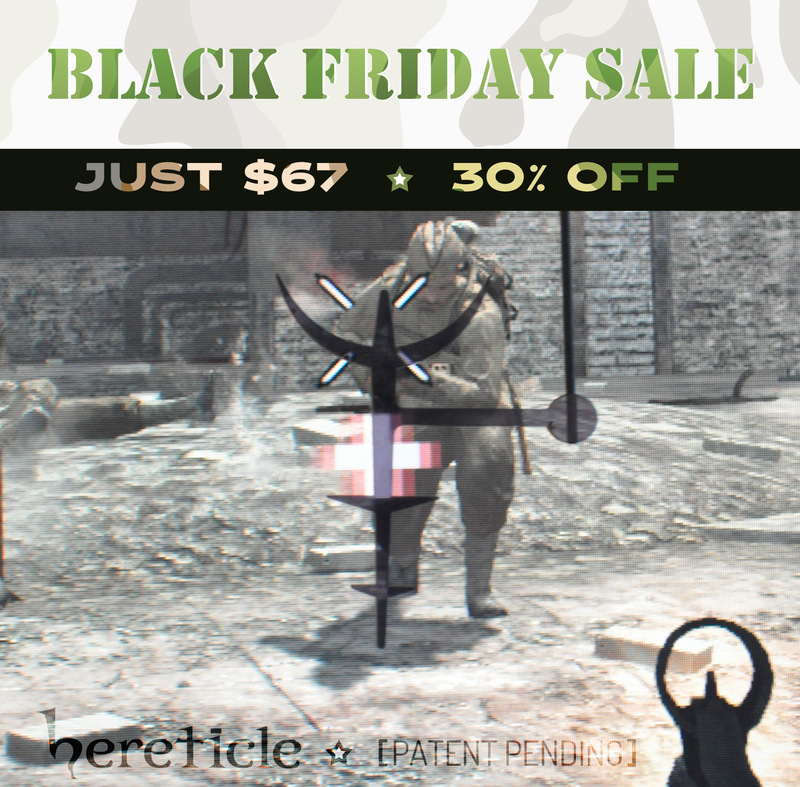 With Black Friday approaching, as black as the gun steel Hereticle First Limited Edition is made of, we’re announcing our biggest sale yet: now through November 30th, you can purchase your own, uniquely numbered, collectible grade Hereticle First Limited Edition external crosshairs accessory for just $67! Hereticle External Crosshairs. Now available for purchase. Friends, we are happy to announce that the wait for the first commercially available external crosshairs gadget is over! Our online shop is open, featuring our First Limited Edition Hereticle. Please give it a whirl, let us know if you notice anything out of whack, spread the word – and, if you like what you see, click “Add to Cart“!